Commercial dried fish food has been the most popular diet for aquarium fish for decades, and includes colored floating pellets, flakes, and even sinking pellets. They provide easy, clean, and inexpensive ways to maintain an aquarium tank. 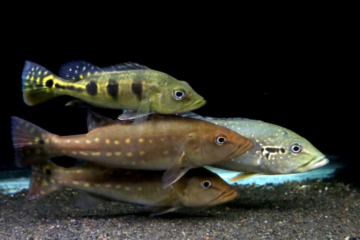 As a beginner fish keeper advances, they begin exploring how to enhance the growth and beauty of their fishes. They start creating their own fish food and making recipes of their own. Ideal foods include Tubifex worms, Daphnia or Moina, earthworms, Grindal worms, Infusoria, and microworms. Most of these are readily available locally and may be cultured after obtaining a starter kit. Enter the brine shrimp, a unique fish food that is a gem for all serious fish hobbyists. 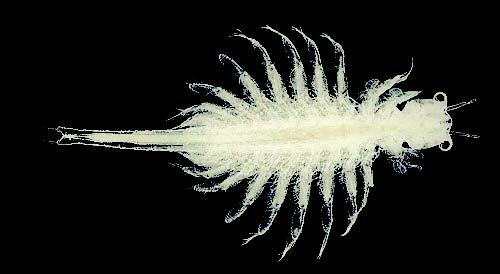 Artemia or brine shrimp are aquatic crustaceans found worldwide in inland saltwater lakes. There are mainly two different varieties: San Francisco and Great Salt Lake. The San Francisco shrimp is smaller than the Salt Lake variety. They are not present in the ocean waters. The ability of the Artemia to produce dormant eggs, known as cysts, has led to the extensive use of Artemia in aquaculture. The cysts may be stored for long periods and hatched on demand to provide a convenient form of live feed for larval fish and crustaceans. They come in many colors: white, pink, and even green, depending on their diet and environment. However, I have encountered only orange brine shrimps. They have approximately 50 percent protein and 20 percent fat, and are available frozen, freeze-dried, in sachets with solutions, or decapsulated. During the 90s, brine shrimps were repacked in used plastic containers from camera films. The caps were tightly locked, lessening exposure to moisture not beneficial to the cysts. Newly hatched brine shrimp measures less than 1 millimeter. An Artemia’s mature size can reach 15 millimeters in length. They normally swim in upside-down, regularly thumping their legs. During the first few days after hatching, Artemia feed themselves by consuming their own energy reserves stored in the cyst. Wild ones consume microscopic algae. Cultured ones can be fed yeast, wheat flour, soybean powder, and egg yolk. Some of the advantages of using brine shrimp include availability, quick hatching time, easy hatchery setup, absence of foul smell in contrast to other live food, suitability as first food for goldfish fry, and their disease-free nature. The quantity needed for hatching is also easily measured, and they can live for several days without feeding. However, the hatchery setup needs to be constructed or purchased, and they’re quite expensive compared to other fry foods. It also takes time to use them as feeds. I believe the advantages far outweigh the disadvantages. I also enjoy the process of siphoning and harvesting newly hatched brine shrimp. Materials include two pieces of 1-liter plastic bottles, small air pump with silicone airline tubing, light source, syringe or silicone airline tubing, rock salt, and the cysts. A rigid airline tubing is also required, which can be obtained from damaged under gravel and box filter hose attachments. If not available, you can use a small rock and a rubber band and attach it to the end of the silicone airline tubing. For the filtering material, some use coffee filters, but I use flannel which really works well. Those that come in blue or yellow color are great since you can perfectly see the brine shrimp being filtered. A hydrometer is optional but recommended. The steps below were provided by Golden Lake Brine Shrimp. 1. For small quantities, a clear plastic or glass bottle can be used. For larger quantities, a cylindroconical tank with a translucent bottom is good for hatching. 2. The hatching container should be cleaned and disinfected before use. 3. Clean sea water or artificial salt water with a specific gravity of 1.015 to 1.020 (salinity: 15-30 ppt) is ideal. 4. Optimum pH is at 8.0-9.0. If pH falls below 7.5 add an alkaline solution. 5. The density of eggs should not exceed 2 grams per liter. 6. Aerate water sufficiently to keep eggs in suspension at all times. 7. The temperature should be maintained at 28-30 degree Centigrade (82-86 degrees Fahrenheit). 8. The optimum hatching time is 20 to 30 hours. 9. Keep cans in a dry, cool place below 10 degrees Centigrade for best results. After a can is opened, eggs should be used immediately or stored in a refrigerator. Rock salt works well for me. One tablespoonful of salt to one liter of water gives me about 80 percent hatching rate. Using a hydrometer following the specific gravity recommended might add to the hatching efficiency. Some recommend using an air stone but I don’t. The fine bubbles tend to minimize water circulation. I also use the solution three times before creating a new one. I set up the brine one day apart to ensure a daily supply of hatchings. A syringe with a silicone hose for small hatchery can be used for a setup of less than 500 milliliters . For a bottle hatchery at least one liter big, a siphoning hose is recommended. The water should drain using the siphon hose through the filter, leaving only the shrimp behind the flannel cloth. Be sure to place the silicone hose at the bottom of the bottle before siphoning. The empty shrimp shells should float to the surface of the bottle. If a light under the bottle is placed, the live shrimp should be drawn towards the light. The brine at the flannel will be ready for your hungry fishes. The fry can eat brine for several weeks, which can be slowly replaced with Tubifex or fine dried fish food. Hatching brine shrimps for me is already an interesting activity in itself, just like changing the aquarium water. However, not everyone would understand how cleaning the tank brings joy. This appeared in Animal Scene magazine’s November 2018 issue.